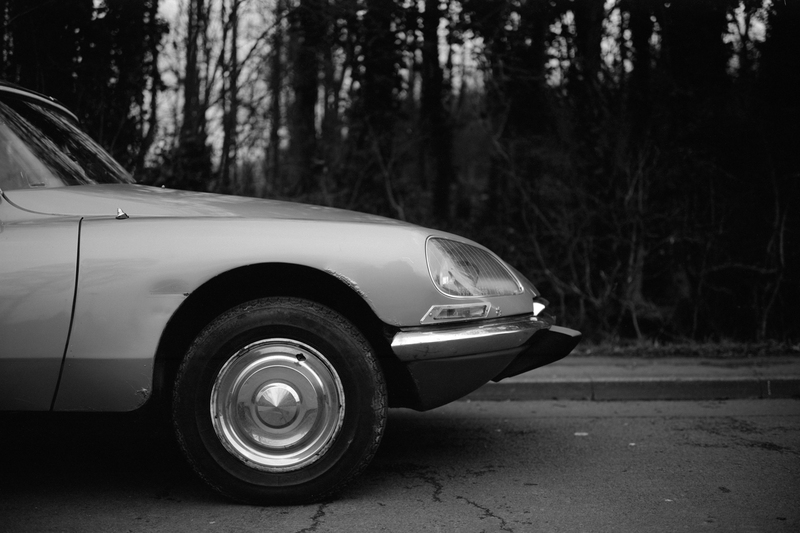 A couple of Sundays ago, I was lucky enough to be invited by Iain to take pictures of our mutual friend Mikey‘s classic Citroën DS. 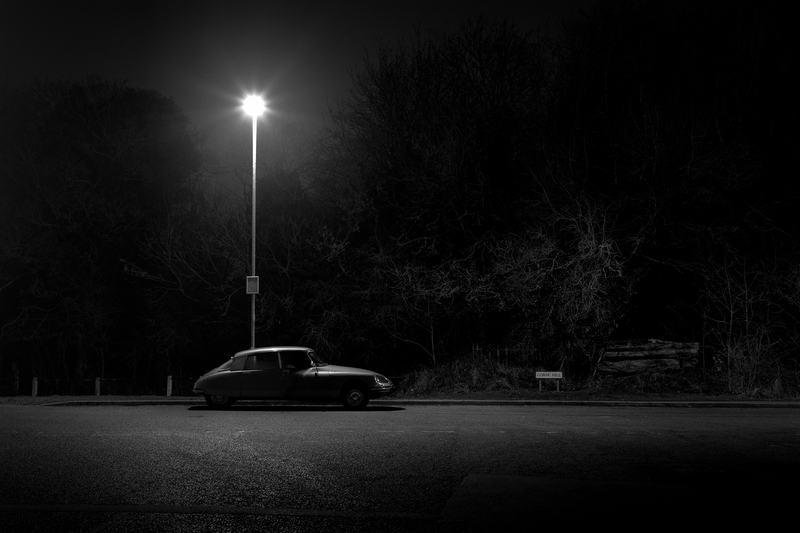 Mikey takes his beautiful car out once a month or so through the winter and the plan was for us to shoot it in darkness, lit by LED streetlights in a similar set up to that which I photographed Iain’s erstwhile Sköda a couple of weeks previously. Iain and I arrived first and stood chatting, falling silent as the stunning 1970’s creation turned into the street. Nothing else on the road looks quite like it and despite not really being much of a ‘petrol head’, I was looking forward to spending a short time photographing it. 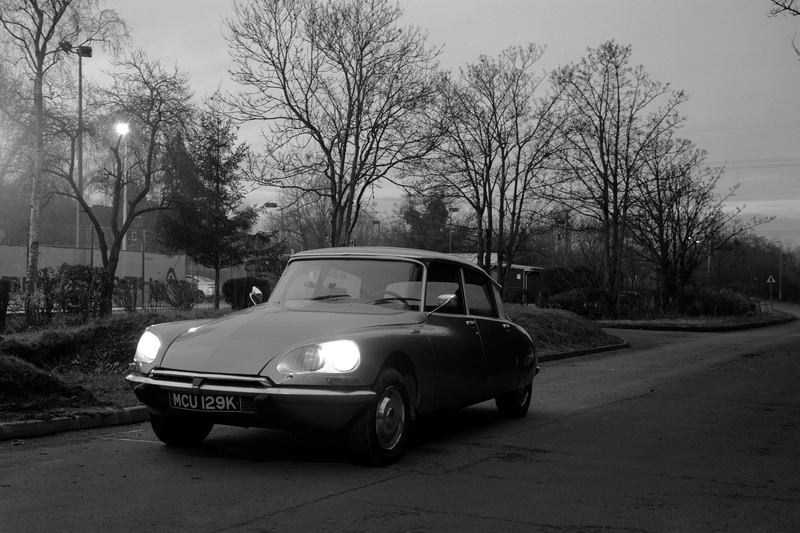 It certainly isn’t a concours standard car, but in my opinion, is all the better for it. 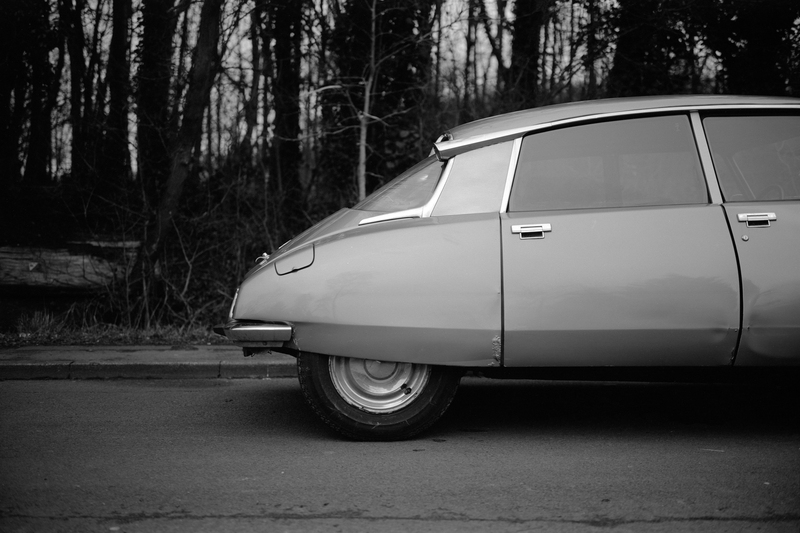 The ageing French supermodel bears the scars of a life lived in the metaphorical fast lane, and the bubbles of rust remind her that time waits for no-one. From a distance, the magnificent form of the metallic green body still turns heads, but close up, her dented panels rippled under the harsh lighting, oozing character. I was also hoping to create a picture to use in the Leicester Lo-Fi Photography Group‘s ‘Glow’ project. 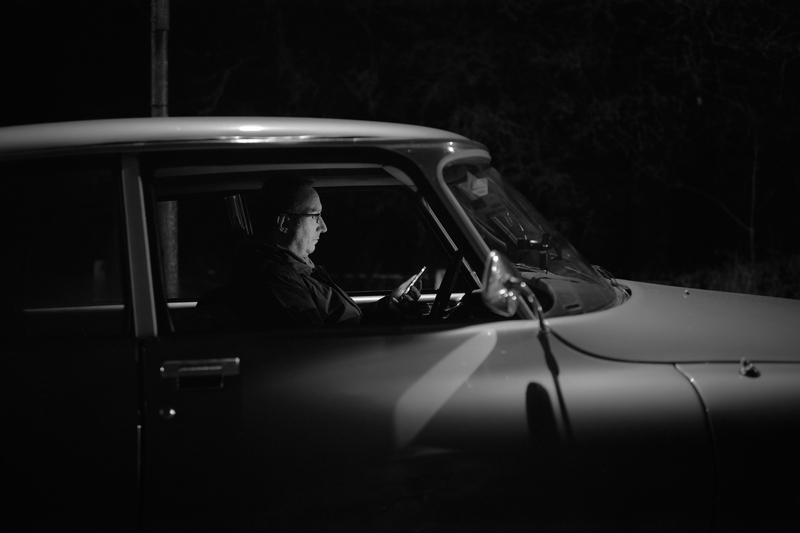 The idea is to shoot (analogue, obviously) pictures of people lit by screens as they gaze into them. Anyway, here’s my effort. 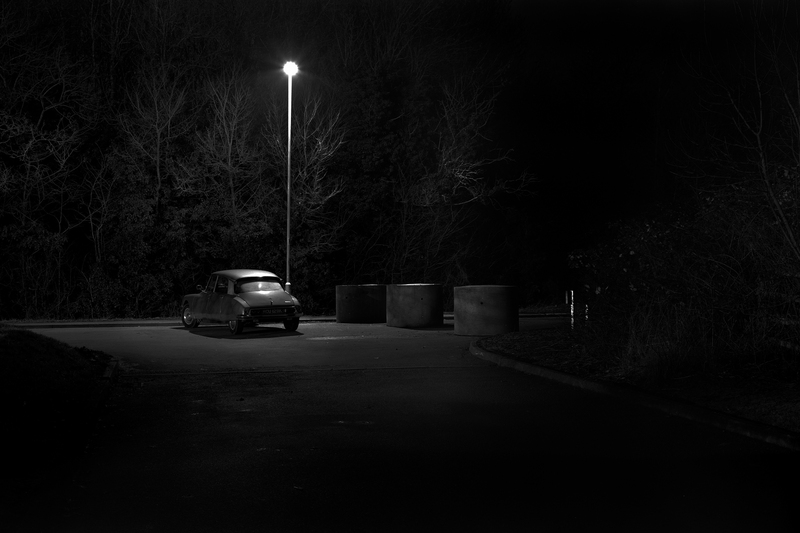 Fuji GW690ii, Fujifilm Neopan Acros 100, processed at home in Ilford Ilfotec HC (1:31 for 6 minutes at 18C). To see the pictures full-screen, click one of them below and scroll through. For not being much of a petrol-head, you’ve got the photos down pat. Absolutely love that second one in particular. Thank you – it’s such a handsome car, it was difficult to fail! 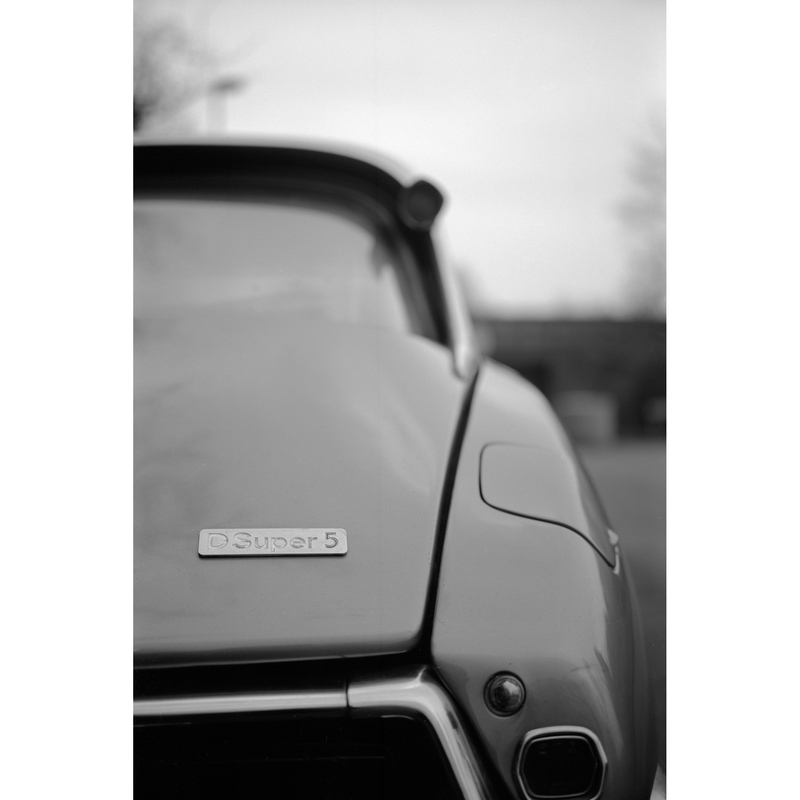 The Goddess is my favourite car of all time, and you’ve done it no disservice with these images. Thanks for sharing. Thank you. It really is a beauty, and quirky with it. Have you sat in the back seat? Cushiness overload.